Yaseen Itoo, who was killed in an encounter in Shopian, had joined the Hizbul Mujahideen in 1996 and was involved in stoking the widespread unrest last year. Yaseen Itoo (right) was killed in an encounter in South Kashmir's Shopian. Yaseen Itoo, a top commander of the terrorist outfit Hizbul Mujahideen, was among three terrorists killed in an encounter with security forces in the Shopian district of Jammu and Kashmir today. Two soldiers also lost their lives in the 20-hour gunbattle that began last night. Three others, including an officer, were seriously injured. The encounter began on Saturday after a tip-off about the presence of a group of Hizbul terrorists in the Awneera village, about 100 km from state capital Srinagar. A joint operation was launched by the police and army. As soon as the forces reached the area, the terrorists opened fire. Intermittent firing continued through the night and security forces launched an all-out assault in the morning. Three terrorists were killed in the operation. However, some of them managed to escape dodging the cordon, police said. Besides Itoo, an operational commander of the Hizbul Mujahideen also known as 'Ghaznavi', two others identified as Irfan ul Haq Sheikh from Shopian and Umar Majid Sheikh from Kulgam were killed. The gunbattle in Shopian continued for around 20 hours. While Irfan was a tech-savvy operative tasked with the online propaganda campaign for Hizbul, Umar was personal security man of Itoo. Itoo, from Budgam district of central Kashmir, had joined the Hizbul Mujahideen in 1996 and was involved in stoking the prolonged unrest last year following the killing of group's commander Burhan Wani in an encounter with security forces. He also worked on recruiting several young men into the outfit, police said. He was identified by his family members who were brought to the scene of the encounter by police from their residence in Budgam. 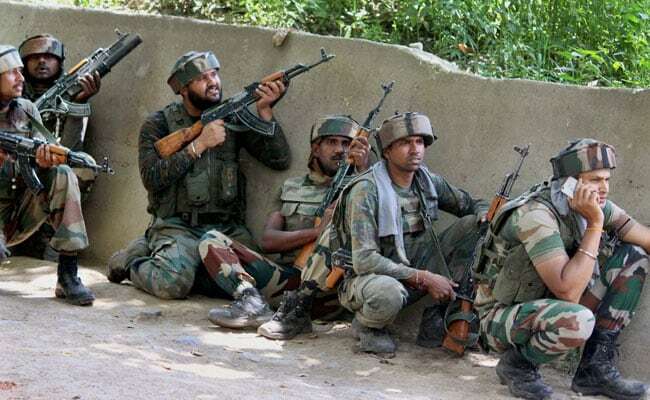 "Today morning 3 Terrorists Eliminated at Zainpora Shopian. Well done boys!" Director General of Police of Jammu & Kashmir SP Vaid, tweeted. Gawai Sumedh Waman from Maharashtra and Tamil Nadu's Ilayaraja P lost their lives in the encounter. "Unfortunately, we lost two army jawans," he told NDTV. 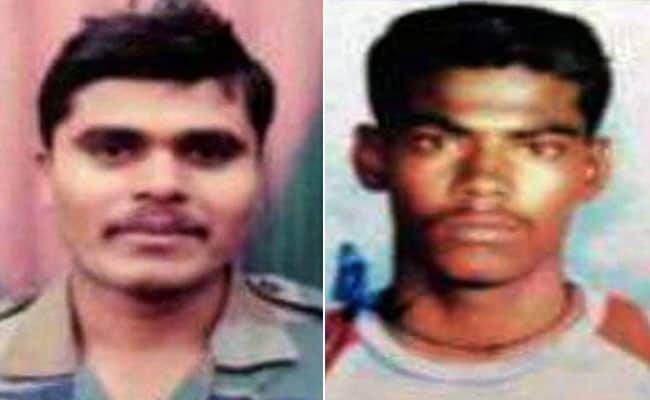 The soldiers who died have been identified as Tamil Nadu's Ilayaraja P and Gawai Sumedh Waman from Maharashtra. At the Army's 15 Corps headquarters in Srinagar, they received an emotional farewell. Security forces estimate south Kashmir has about 90 terrorists active in the region. Sources say, security forces have been trying to target the leadership to weaken the network while also maintaining an active presence in areas considered safe havens for the terrorists. "We want to give Kashmir freedom from Pakistan-sponsored terrorism," Mr Vaid said. In the last few months, security forces have carried out many successful operations and eliminated several wanted terrorists. However, in order to counter the issue from all sides, it is also important to prevent local youth from joining terrorist groups, police sources said.